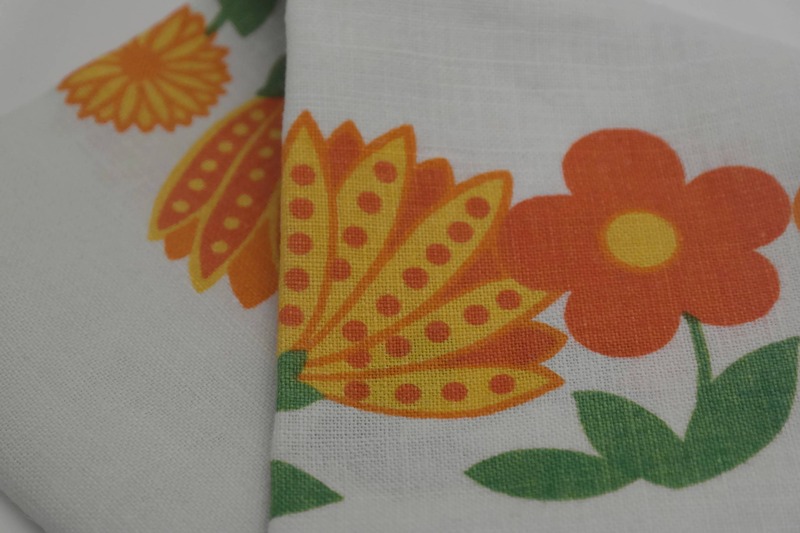 A vintage French linen tea towel printed from the 1970's. 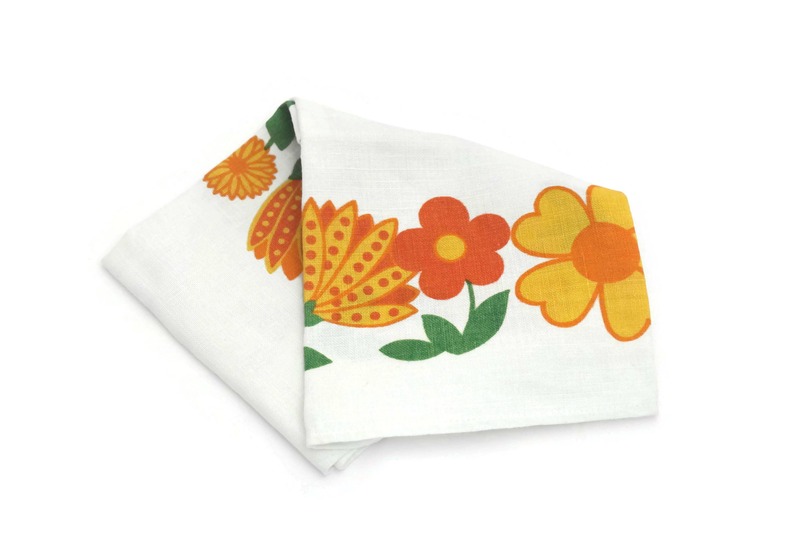 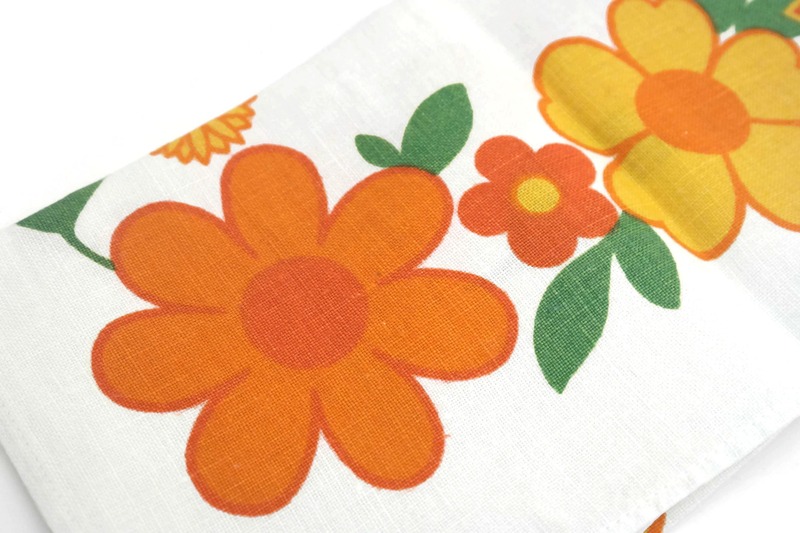 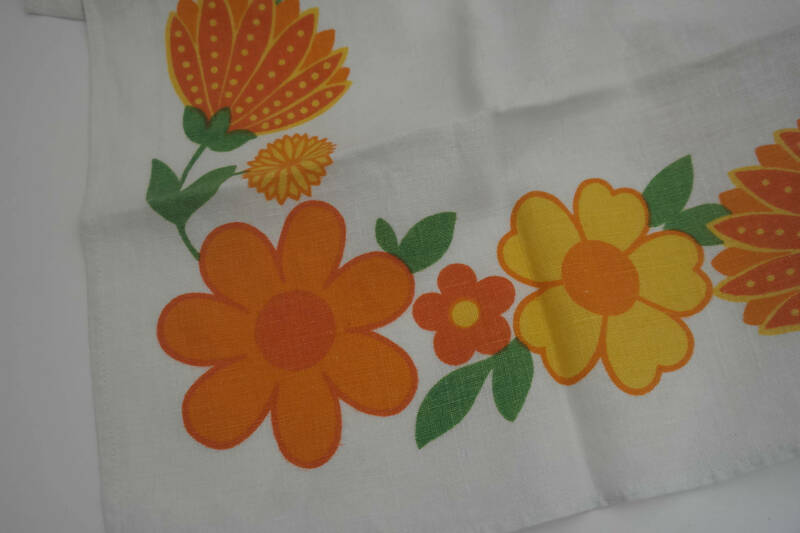 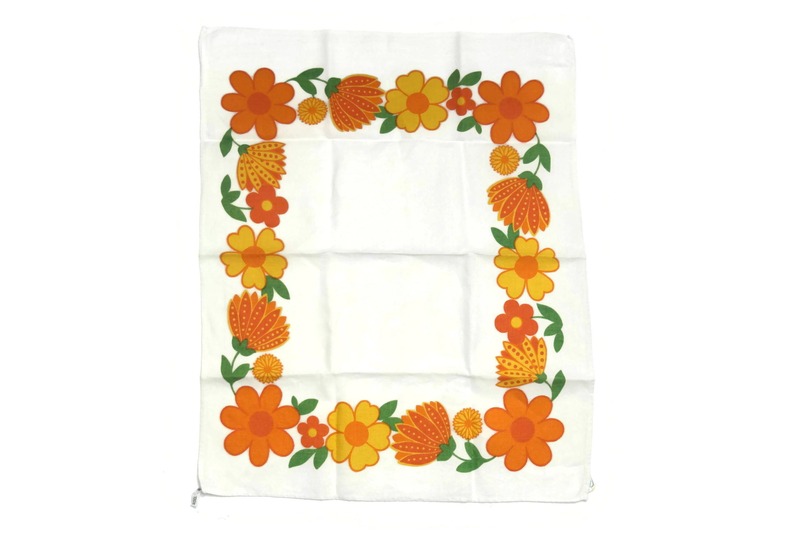 It has been made from pure linen and features a bright and bold daisy and orange flowers print, typical of the seventies. 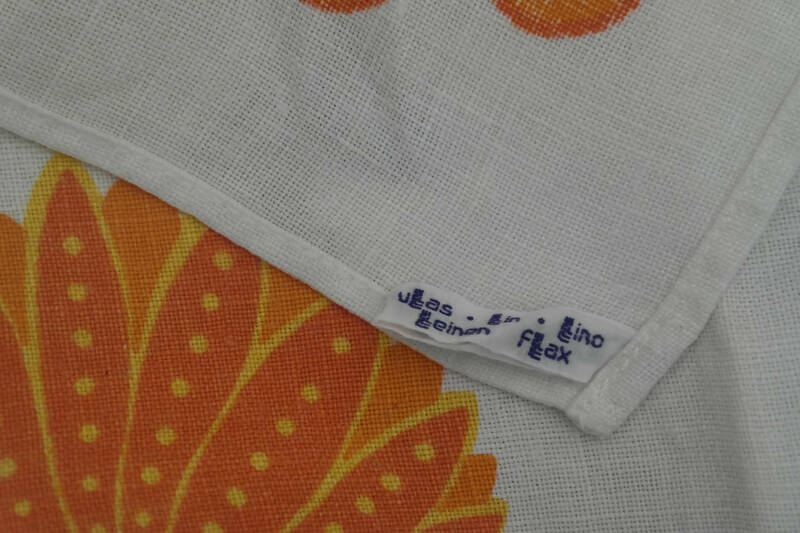 The tea towel has a sewn-in manufacturer's label to indicate it is 100% linen. 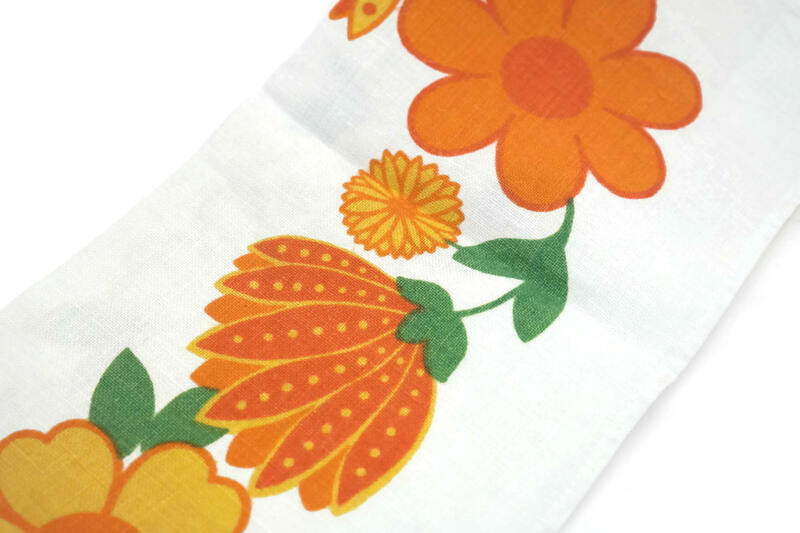 The linen dish cloth will make a great accent to an orange kitchen decor. 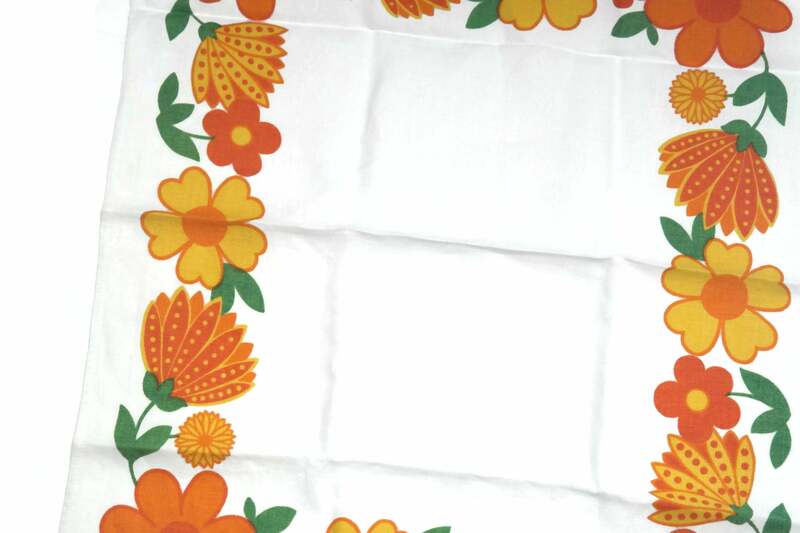 (63,5 cm x 53 cm). 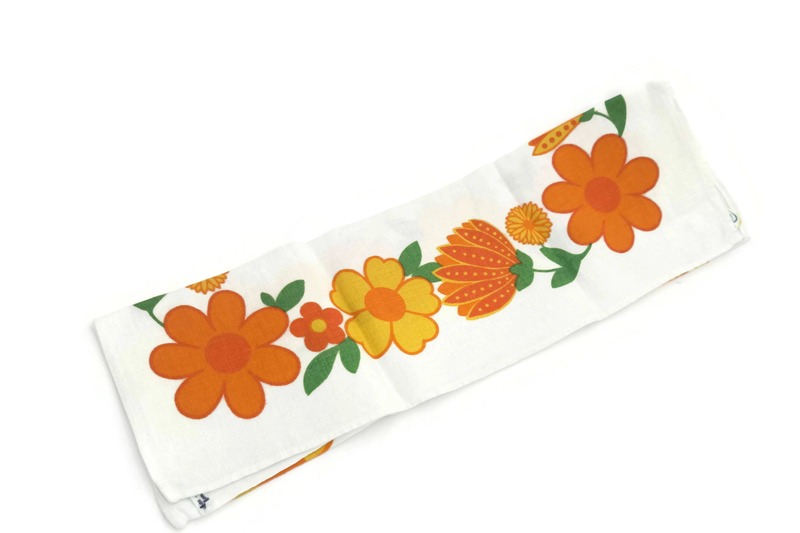 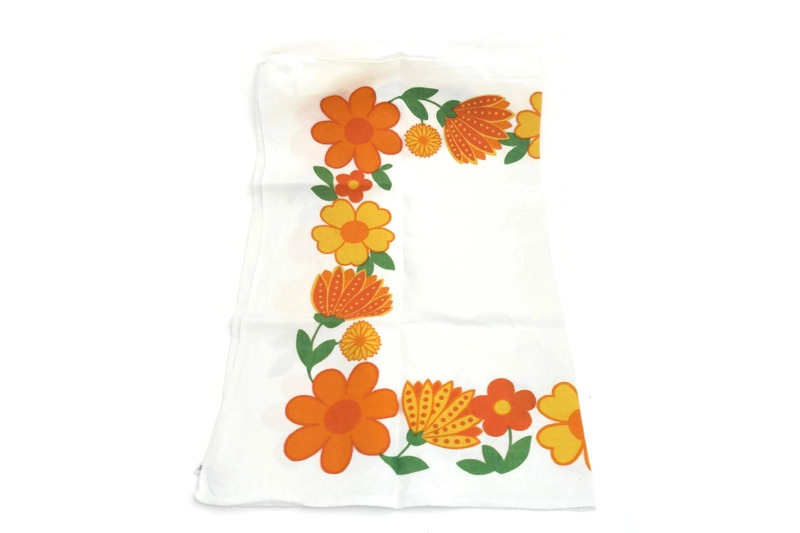 The printed flower dish towel is in excellent condition.